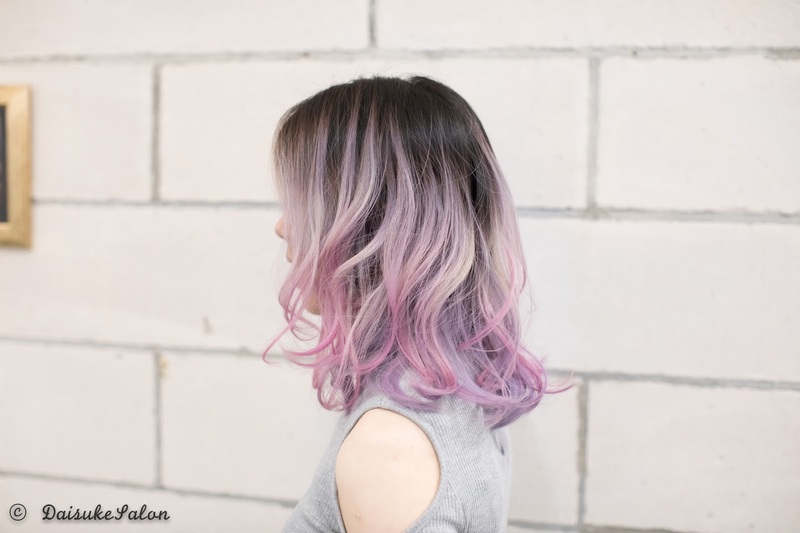 This balayage ombre requires at least 3 times bleaching before applying pale pink + pale purple. You can have fun colours even without bleaching whole hair. Of course before bleaching, we always do scalp protection before we apply any bleach / colours. 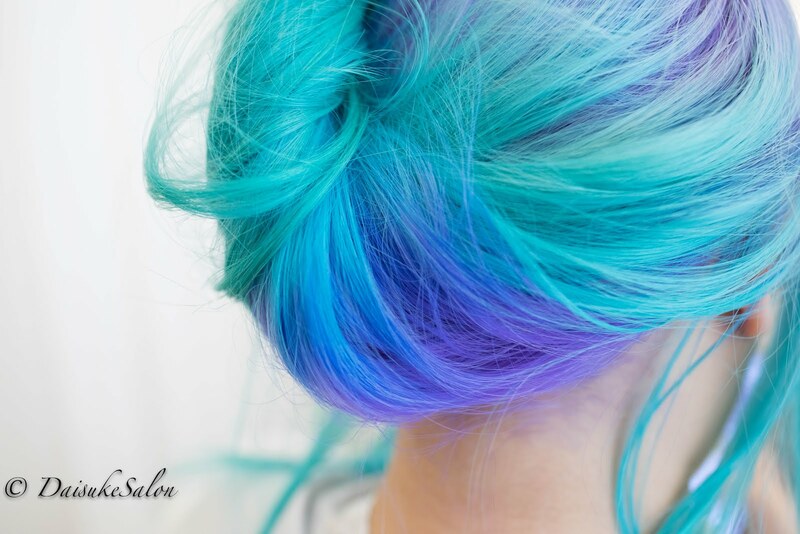 So don't worry about damaging the hair / scalp. Stylist Amanda touching up the hair.